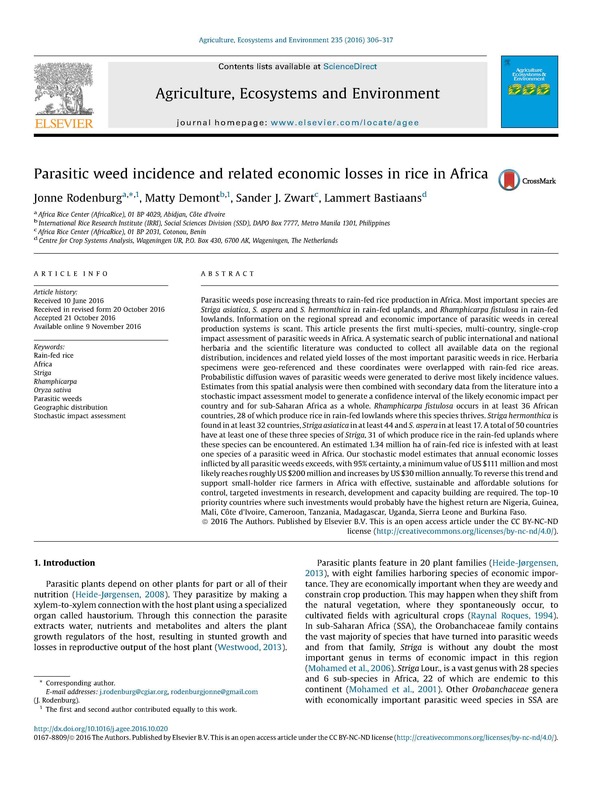 One of the more recent outputs of the PARASITE-project on the estimated economic losses following parasite weed infestation in rice in Africa, authored by Jonne Rodenburg, Matty Demont, Sander Zwart and Lammert Bastiaans, entitled: "Parasite weed incidence and related economic losses in rice in Africa. 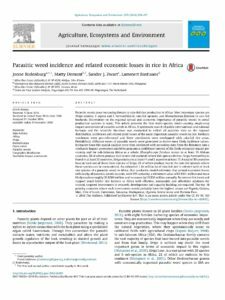 Agriculture, Ecosystems and Environment, 235, 306-317", has received a lot of attention and publicity. If you are interested in a more complete overview of all the output generated by the ‘PARASITE’-project so far, please visit the web-page on the NWO-site: http://www.nwo.nl/en/research-and-results/research-projects/i/86/5586.html.